Chat about general bike related topics that do not fit in the other categories. 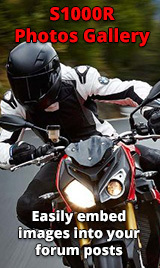 Also discuss other bikes or BMW models here. BMW first 5 out of 6 in IoM superstorm. Why? New S1000r or Aprilia Tuono factory? Good use of an XR!